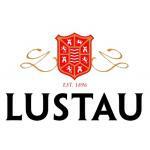 Emilio Lustau S.A. was founded in 1896 by Don José Ruiz-Berdejo. It was a humble beginning: Don José, a secretary in the courts of justice, used to cultivate the vineyards at his estate "Nuestra Señora de la Esperanza", where he stored and aged the wines and afterwards sold them to the larger exporting companies. He was in fact what is known as an "almacenista". 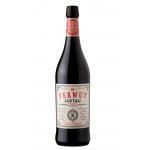 In 1940, his son-in-law Don Emilio Lustau Ortega moved the bodega to the Santiago district, in the old quarter of Jerez. There, in buildings which formed a part of the ancient Moorish city wall, he expanded the business gradually, still as an "almacenista". During the seventies the company continued expanding. The first step was building new bodegas at the family estate "Nuestra Señora de la Esperanza". 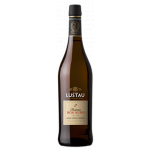 Then, at the beginning of the eighties and under the management of Rafael Balao, Lustau became one of the most innovative companies in Jerez. Rafael Balao had the intuition that Lustau had to be at the forefront of quality. His ideas combined tradition and innovation and carved out the way for identifying Lustau with quality and prestige. 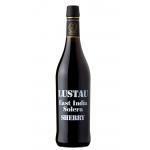 The Lustau Solera Reserva range was created from the original Lustau stocks from its beginnings as an "almacenista". These stocks were joined by a fine selection of Sherry wines from different "almacenistas", consisting of very special wines from small independent wine-producers, to be offered to select clients. These Sherries represent some of the best wines of the area. 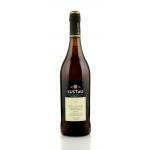 In 1988 Lustau made a further step towards innovation introducing a new bottle design for its wines. 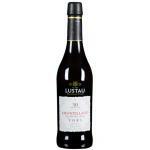 The elegant dark bottle with sloping shoulders is exclusive to the company, distinguishing Lustau from other Sherry producers. In 1990 Emilio Lustau S.A. was acquired by the Luis Caballero Group of Companies, which produces fine liqueurs and spirits such as the renowned Ponche Caballero, the best selling liqueur in Spain. This gave Emilio Lustau important financial support and the opportunity to further develop and expand. In June 2000 the company acquired a complex of six bodegas covering a total area of 20.000 m2, which had belonged to the company Domecq . These buildings underwent a complete restoration in the years 2001and 2002. Nowadays, they house all the wines of Emilio Lustau S.A. In spite of this evolution the company still holds the same philosophy: to pursue the best quality in its wines and to offer the market the largest range of Sherries. This criteria has allowed us to progress in the past, and it continues to be our challenge for the future.